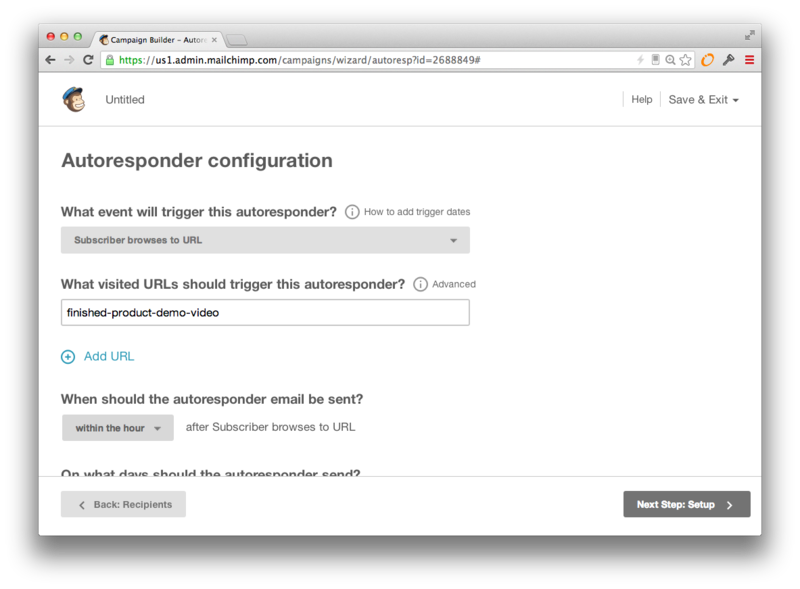 Trigger MailChimp Autoresponders based on video viewing behavior. So you’ve got a killer autoresponder setup in MailChimp, and you want to trigger it based on video viewing behavior? Well, you’ve come to the right place! Before we get into the details, make sure you have already followed these instructions from the helpful folks at MailChimp. Take a look at the player API for more info on how to attach to player events.